USD is chiefly under the influence of the Fed’s decision regarding the rate. At the moment the dollar gained some support against other currencies. The support rests at 1.11190 with resistance at 1.11910 which both lines are located above the weekly pivot point at 1.11070. The EMA of 10 is falling down towards the EMA of 100 which is rising slowly. The RSI is moving below the 50 level, the MACD indicator is in positive territory but it is falling down and the Stochastic is showing horizontal momentum in negative zone. 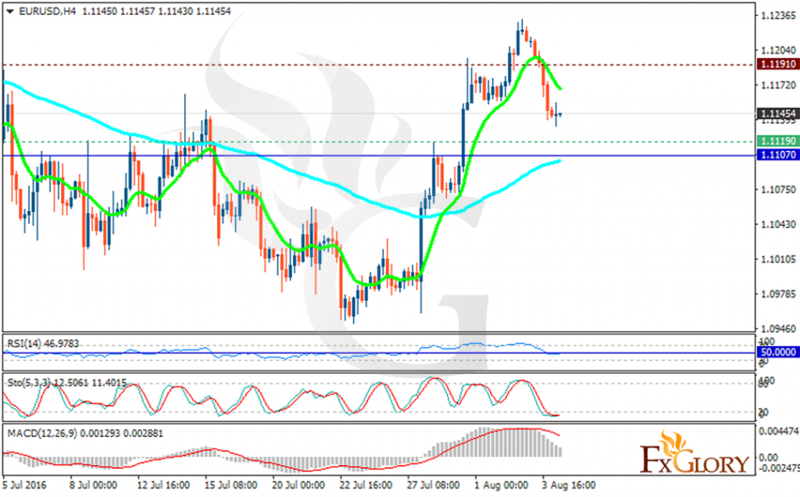 The 1.113 level seems a strong support level for this pair therefore we expect upward trend at any time soon.